I do not refer in this article to what women can do to make men happy. Nope, men are responsible for their own happiness, as are women. That being said, a 75-year-long Harvard study provides some great insights into what it takes for men to live a happy life. And not surprisingly, relationships have a great deal to do with this earned happiness. 1. Alcohol use is by far the greatest disruptor of health and happiness among the study’s subjects. Alcoholism was also the single strongest cause of divorce between study participants and their wives. Together with cigarette smoking, it was the #1 greatest cause of morbidity and death. 3. 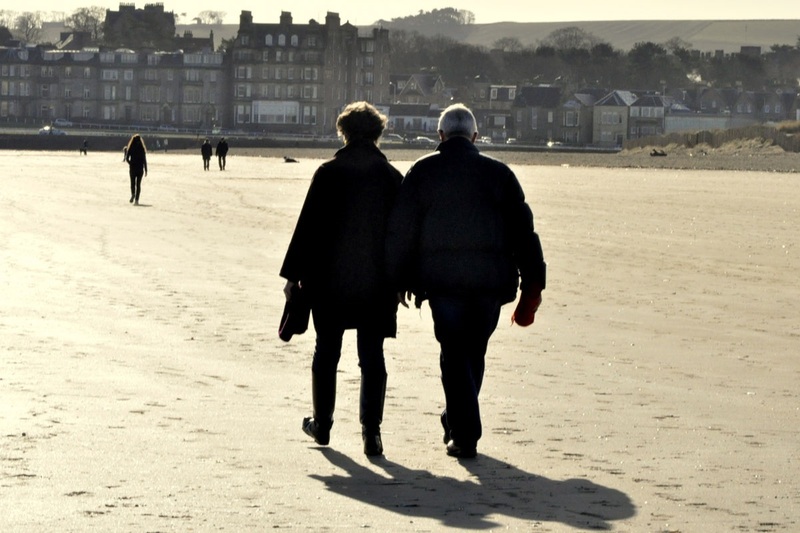 Marriages bring much more contentment after age 70. 4. Habits developed before age 50 were more important to physically aging well than heredity. 5. Having “warm relationships” was critically important to health and happiness in later years. Even more surprising, those who scored the highest on the warm relationships scale earned $141,000 a year more during peak salaries than the men in the lowest scale. 6. Men who had warm childhood relationships with their mothers earned much more than men whose mothers were uncaring. Those who had poor relationships with their moms were much more likely to develop dementia in elder years. 7. Men who had warm relationships with their fathers had lower levels of adult anxiety, enjoyed vacations more, and had increased satisfaction with life after age 75. Study director George Vallant summarized that the $20 million study boiled down to one conclusion: Happiness is love. Vallant details the findings in a book titled Triumphs of Experience. While money and social class did not impact lifelong happiness, the ability to “take love in and metabolize it” certainly did. You knew that already, right? With so many goals to consider for 2014, a renewed focus on love may be the most important to your happiness. This entry was posted in Books, Family, Happiness, health, Love, Marriage, Relationships, Research, Uncategorized and tagged happy marriage, happy relationships, Harvard study, lifelong happiness, living a happy life, Triumphs of Experience, what makes men happy. Bookmark the permalink.